I don't have a list as long as TJs and I doubt if I ever will. - Dash Shelf: only used for shared car GPS at the moment. - Hi- level LED brake light on Top Case. - 55/60W H4 Globes replaced the Xenon H4 ones after one failed. Added HeliBars Handlebar Risers with Ram Ball Mount on 11/11/14. Great lists of farkles guys. - Esky shelf mounted on trailer. Quite a difference. The original front springs had gone soft, as is common. The rear shock was also on the soft side through old age. Doing the front and back tightens up the handling and the bike rides better as well. With soft front springs most of the travel is used up just getting on the bike so it does not ride the bumps as well. I went for progressive springs in the front as the rear Fournales shock is air only so progressive in its springing. I tried some straight rate springs in the front but it did not match the rear that well. But any replacement rear shock will be better than a worn out OEM one. And Chris reckons the best farkle of all Me !!!! Bump - Some of our newer members might find this thread interesting and useful. - Dash Shelf: only used for shared car GPS at the moment. Removed and a new one in the process of being done. and an update for myself. I've done a full update on my Farkle List, that had become a little outdated. Garmin Zumo 590 GPS on a custom mount. This GPS also holds all my in-flight entertainment. 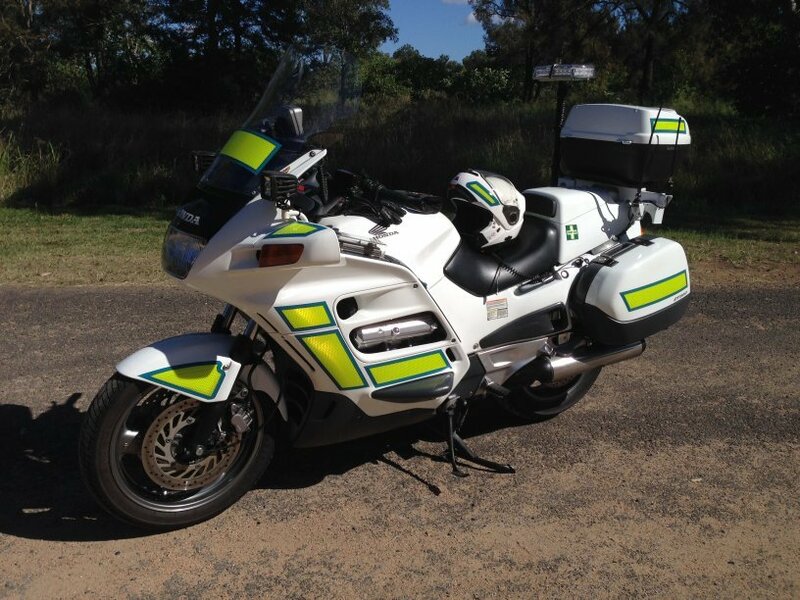 This bike has now gone to SA member "Shillas"
I've done this for the 1100 and now it's the 1300s turn though not much to add or needed.